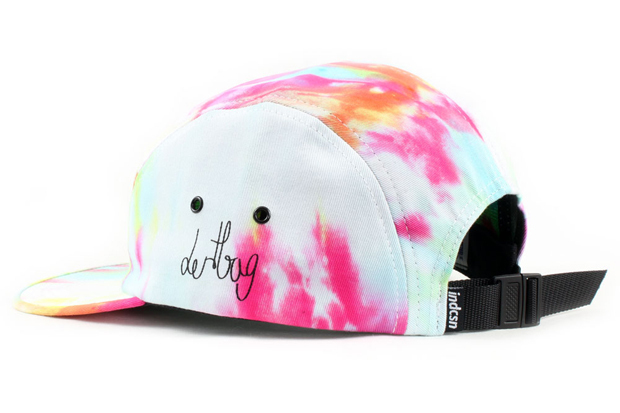 UK brand Indcsn join forces with their international brethren Dertbag for this limited run, tie-dye 5 panel. 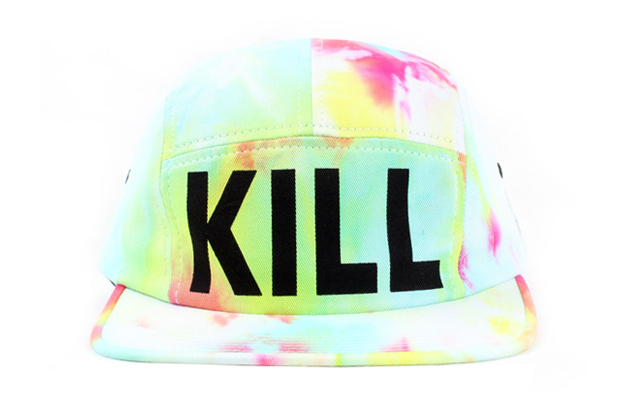 The cap sports the word ‘KILL’ screen-printed across the front, with the sort of attitude we’ve come to expect from both brands. Constructed from organic cotton cloth, tie-dyed by Dertbag, who’s logo can be found on the left side panel. 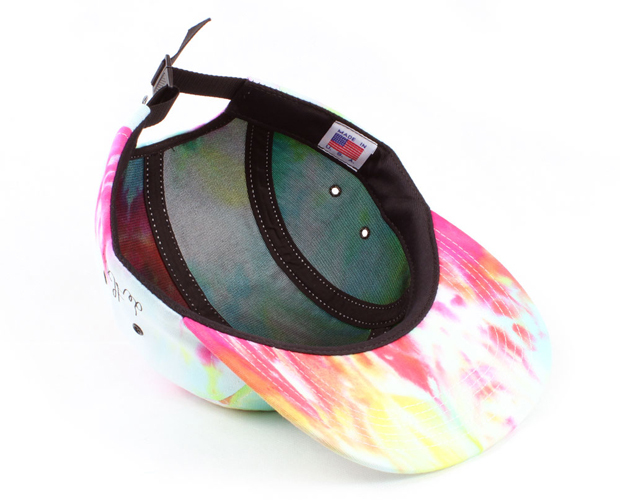 The nature of the custom tie-dye means every hat is unique in it’s pattern of pink, blue, and yellow dye. Finishing things off, an Indcsn branded woven tab can be found on the adjustable fastening at the rear. I love everything about this little project, and it’s great to see Indcsn stepping out of their UK boundaries, and collaborating with another brand, especially one from the states. Dertbag are a fairly new brand to me, but one I’ll definitely be keeping a close eye on from now. 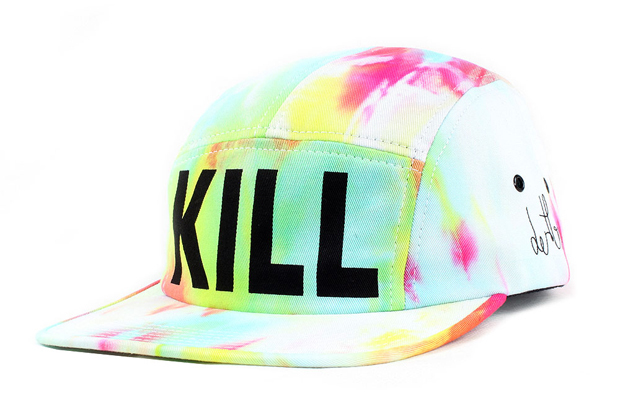 The KILL 5 Panel will be available this evening, 9pm, in limited numbers from Indcsn. Check out some more shots below. 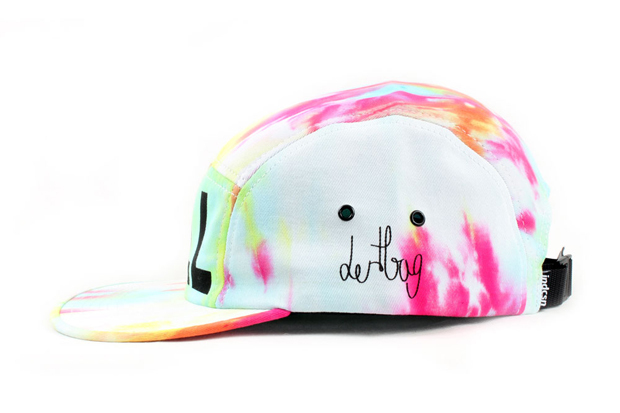 this hat is looking nice, love the tie dye too. copped myself one of these!!! Can’t believe I slept on these. One of the most original hat ideas I have seen for years. Does anybody know if they will be doing a 2nd run?